UNICEF estimates that 140 million girls will marry early (under the age of 18) in the next decade. Especially when marriage takes place very early (well below the age of 18), it profoundly affects a girl’s life through lowering her education and earnings prospects, and increasing the risk of health complications, psychological problems, and intimate partner violence. 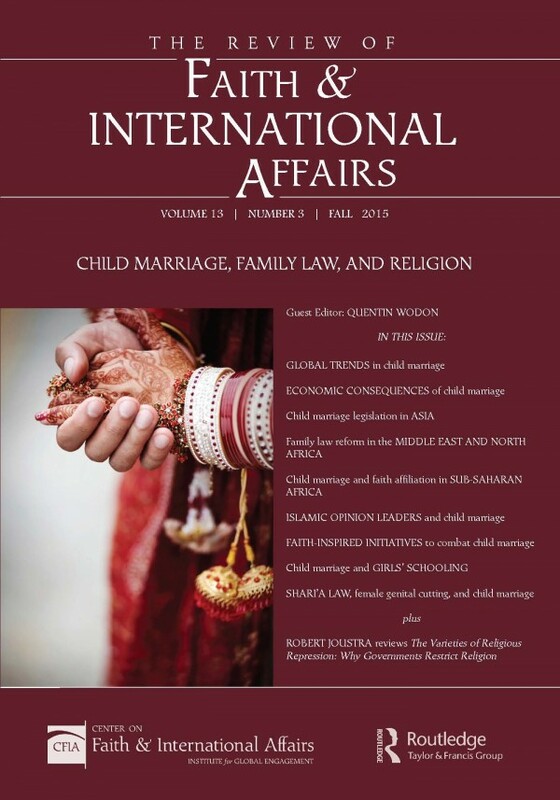 The Fall 2015 issue of The Review of Faith & International Affairs is a theme issue examining the causes of child marriage and effective responses. Via a partnership with the World Bank, this issue is entirely free online (open-access).